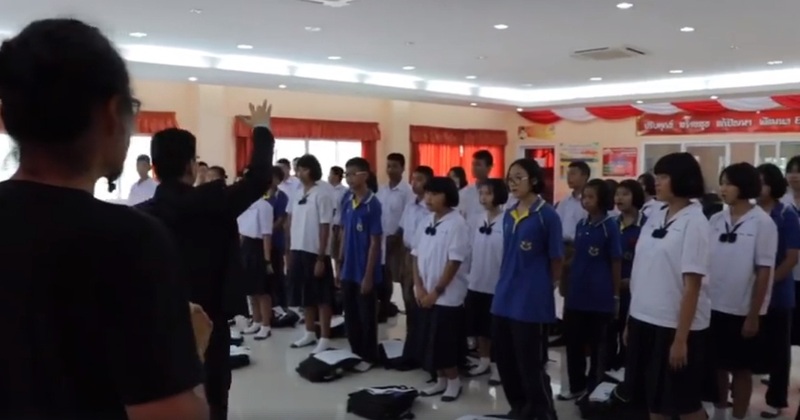 On May 30, 2018, the Department of Music , Organized a music program for youth development at Sutha Samut School, Samut Songkhram Province Activities include opening speech by Khun Kajorn Tamtong, head of the department. Introduce the teaching of music. Faculty of Fine and Applied Arts And introduce Suan Sunandha Rajabhat University. There are also choir performances from the students in the field of music. In addition, the students have to practice the choir. The teacher controls and controls the pronunciation.